When I signed up for the Outer Banks Marathon, the first thing that came to mind was the ocean front, wind and sand. When I left the Outer Banks (OBX) after running the 2017 edition of the marathon what came to mind was that this race had it all. NOTE: In all transparency, I was provided a free entry into the Outer Banks Marathon as a ambassador. But my feelings and thoughts about the race have not and will not be influenced. The expo/packet pick up were both well organized. I arrived on site early Saturday morning to cold and blustery winds with the Saturday races already in full effect. I was hoping the weather would take a turn for the better as I unloaded and headed for the expo. 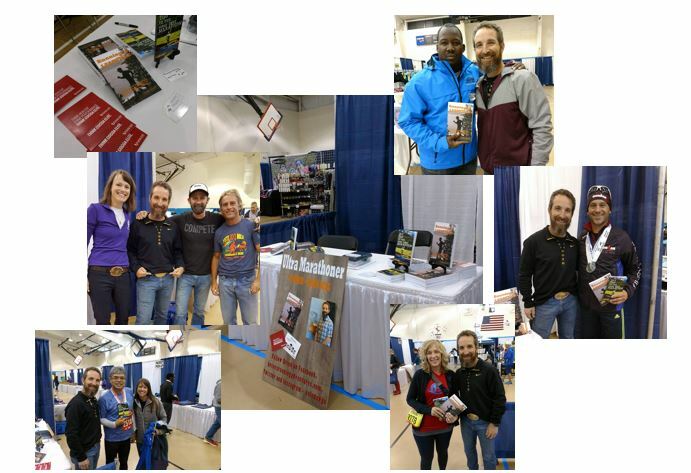 I was at the expo all day talking to runners and pushing my books, Running to Leadville and 26.2 Tips to run your best MARATHON. To be 100% honest, I never heard one complaint. Other than the harsh running conditions on Saturday everyone was happy and the excitement for marathon morning was in the air. The expo had a great mixture of running and area related goods. The traffic was steady all day I enjoyed meeting new and old friends while talking with a bunch of eager runners. This race had it all. 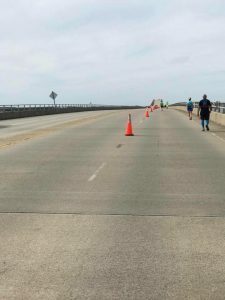 Roads: The majority of the race was run on the roads around and within the Outer Banks. Prior to the race I dreaded the idea of endless miles trying to survive from one-mile marker to the next. The road sections of this race were not bad at all. In fact I found them rather entertaining as did a few runners around me who commented that because of the race they got to see parts of the OBX that they normally don’t get to see. The road sections took us to the sound side, through some golf courses, around some sand dunes and along residential sections with some wonderful beach houses. All and all I would say the variety of environments helped make the miles pass quickly. 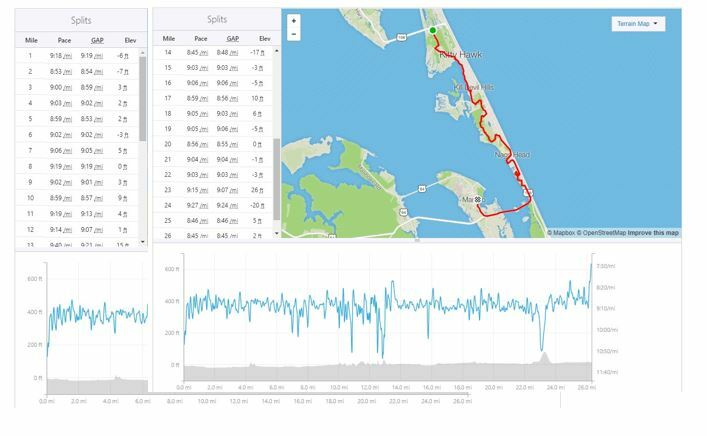 Trails: I had heard about the trails of the OBX marathon and although I consider myself an experienced trail runner, they did offer a nice little challenge. The trails are not technical and offer a wide birth rather it was the rambling up and downs combined with a sandy surface that began to take effect on my legs. A marathon is not meant to be easy and the trails here offered a nice break up of the road sections. They also provided a challenge to ensure you would remember them long after the finishers medal hung around your neck. 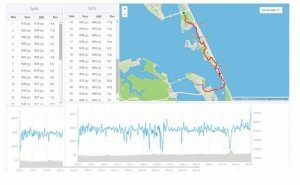 Hills: The OBX course is flat. BUT add in the rambling hills of the trails then throw in a bridge crossing at mile 23 and you have yourself a “wonderful” way to spend the day. I ran all day thinking about that bridge. It must have been around mile 15 or so that I got my first glimpse of it like Everest larking oft in the distance. That thing haunted me for the rest of the day until at mile 21 we made the right turn that put it right in front of us. Looking back on that segment of the race, I lost very little time on that bridge. Fantastic finishing area and post-race support: At mile 24 I caught back up with the four-hour group whom I had run with earlier in the day. I lost them at mile 10 when mother nature called collect. After summiting the bridge, it took a few minutes to get my legs back under me. Once my legs, lungs and mind had recovered at mile 25 I did my best impersonation of Shalane Flanagan and put the pedal down. To be honest I thought about her relentless attack at the NYC Marathon and I gave that last mile point two my best effort of the day. I never looked back and finished the Outer Banks Marathon running 8:40s to claim my fourth sub-four hour marathon at 3:59:22. Not bad for a 53 year old on his birthday. The post race food, support and transportation was first class. 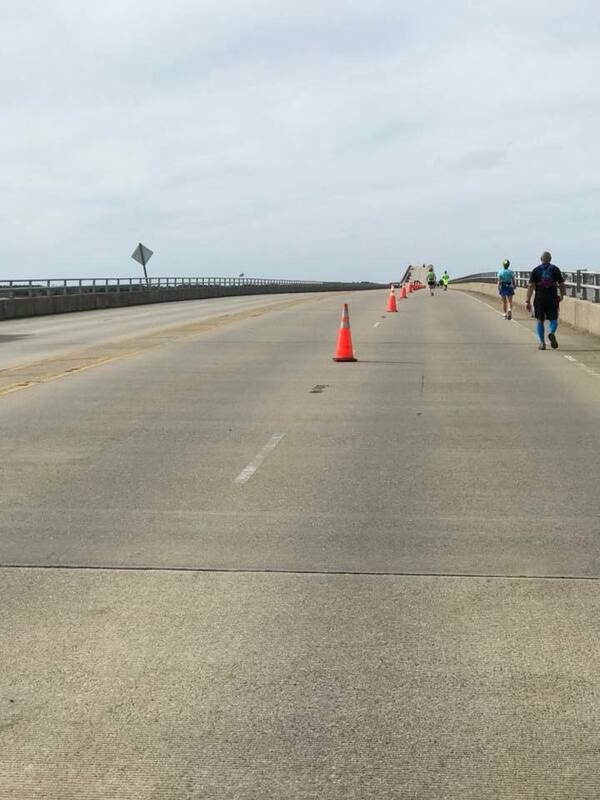 The Outer Banks Marathon had it all for me that day and I gave it everything I had. This entry was posted in Uncategorized on November 14, 2017 by burk.brian@yahoo.com.